A stubborn adolescent chooses domestic work over marriage. A young woman mystic becomes an itinerant preacher involved in politics and the papacy. An illiterate saint becomes a doctor of the Church and patroness of Europe. Catherine of Siena gives us an extraordinary glimpse of life transformed by love for service. 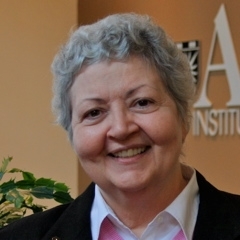 Patricia Walter, OP, is a Dominican Sister from Adrian, Michigan. Currently, she is an as Associate Professor of Systematic Theology at Aquinas Institute of Theology in St. Louis, MO. © 2012 Center for Dominican Studies.